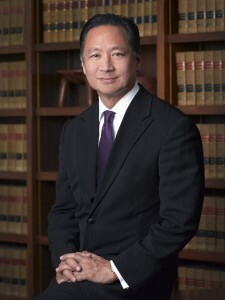 San Francisco, CA — For fighting on behalf of San Francisco’s poorest residents, San Francisco Public Defender Jeff Adachi will receive the Access to Justice Award, to be given by the Lawyers Club of San Francisco at its 66th Annual Supreme Court Luncheon. The luncheon will be held Oct. 29 at San Francisco’s Fairmont Hotel. The event began in 1948 when the Club’s Board of Governors threw a party to “roast” some friends on the bench. The Lawyers’ Club has since taken this opportunity to honor the bench, legal community leaders, and law students. Charles S. Birenbaum, past president of the Lawyers Club who currently chairs Greenburg Traurig LLC’s Northern California offices, nominated Adachi. “Jeff Adachi and I first met as newly minted attorneys in the 1980’s. Over the years he has proven a steadfast representative of poor and impoverished people in need of legal representation in the criminal courts,” Birenbaum said. “Jeff’s innovative programs and tireless war against underfunding of the public defender’s office have helped tens of thousands of people receive fair treatment by the criminal justice system, including protection of their constitutional rights and expungement of their criminal records. Jeff’s efforts have led to coordination among civic, public, and political leaders to better the treatment of the poor. Jeff and his staff at the public defender’s office epitomize the ‘access to justice’ accomplishments honored by the award,” Birenbaum said. Adachi’s office serves approximately 25,000 people each year who cannot afford private attorneys, fighting for them both inside and outside the courtroom. The office’s leading-edge programs include Drug Court, Behavioral Health Court, the Children of Incarcerated Parents program and a full service juvenile division. In 2011, Mr. Adachi exposed to the public numerous instances of police misconduct inside San Francisco’s residential motels. His release of surveillance video showing warrantless searches, brutality and theft by officers resulted in an ongoing FBI investigation, the dissolution of a troubled undercover unit, and nearly a dozen problem police officers being taken off the streets. Mr. Adachi’s efforts were featured in the New York Times, Wall Street Journal, and numerous other media outlets, calling national attention to routine injustice against the poor. He has been previously honored for his work surrounding prisoner reentry and rehabilitation. Adachi said he will be accepting the award on behalf of his staff–deputy public defenders, social workers, investigators and others who work daily on behalf of equal justice. The event begins at 11:30 a.m. with a hosted wine reception in the Fountain Room, followed by a noontime luncheon in the Venetian Room. William M. Treanor, executive vice president and dean of the Law Center, Georgetown University, will be the keynote speaker.